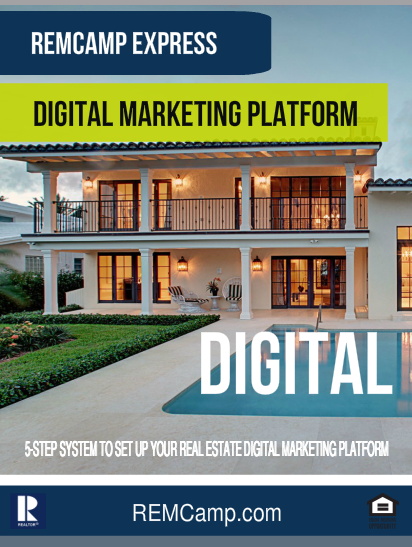 The REMCamp Express is a 5-Step System to set up a real estate digital marketing system to attract home buyers and sellers who go onto the Internet to search for homes and local real estate information. 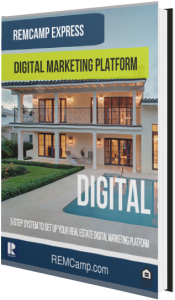 It’s the fastest and easiest way for Realtors to get set up online and generating leads within one day. Members can download the REMCamp Express Guide and view the complete set up training. REMCamp Members can download the REMCamp Express Guide and view the complete set up training. If you’re not yet a member you can get the REMCamp Express by using this promo link.